'Tis His wonderful, wonderful love. 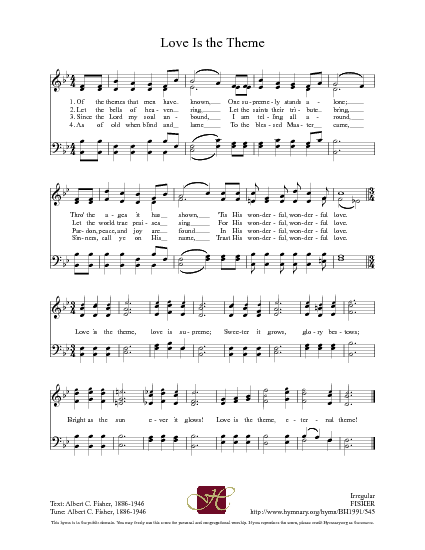 For His wonderful wonderful love. 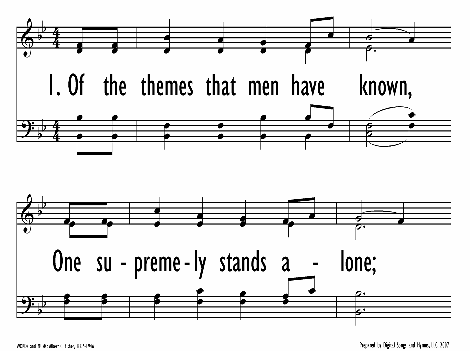 Display Title: Love Is the Theme First Line: Of the themes that men have known Tune Title: [Of the themes that men have known] Author: Albert C. Fisher Source: World Evangel, by Robert H. Coleman (Dallas, Texas: 1913), alt.